5	stars -	"Review for Frogs Merit Stickers (96)" Dale Carter This Frogs Merit Stickers (96) is the best Stickers - Large Merit, Merit I have tried. 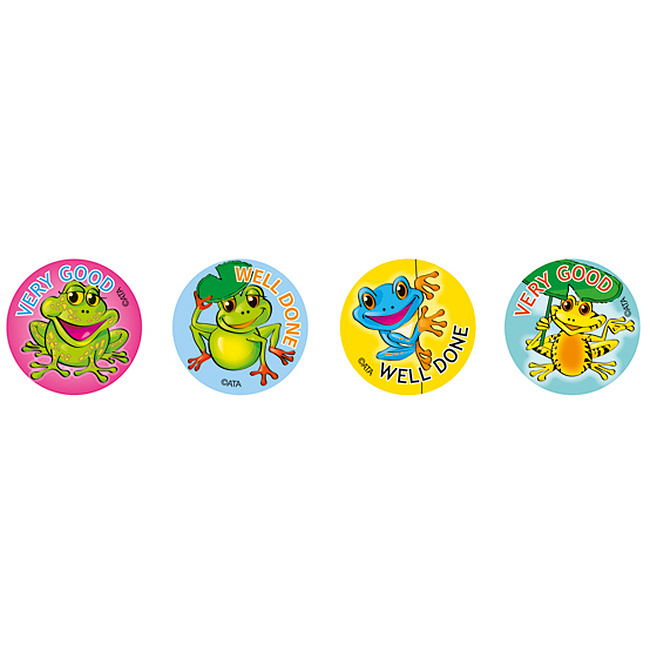 Use brightly coloured Frogs Merit stickers for student reward and encouragement or for decoration. Pack of 96 stickers. Size 29mm diameter.